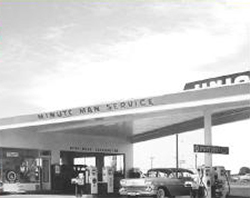 Orcutt 76 is the premier gas station and certified smog inspection provider serving Orcutt, California and the surrounding areas. For over 20 years, our bilingual team has been providing high quality, service and excellent products to our many satisfied customers. Print the coupon on our website for your next smog check! Vehicle emissions pose a major hazard for air quality, which is why California requires vehicles to undergo smog checks to ensure they are operating at a safe emissions level. 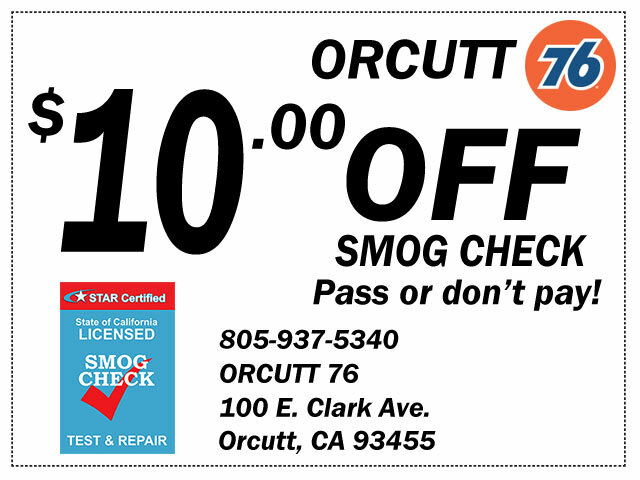 If your vehicle is due for a smog check near Orcutt, California, there’s no better shop to visit than Orcutt 76. Since 1994, our ASE certified technicians have been working on all types of vehicles to ensure they receive the care they need, and we specialize in providing each vehicle owner with a fast and accurate smog test near Orcutt, California. We offer reliable, trustworthy smog checks for California drivers. We’ve been a family owned and operated business since 1994. We are a STAR station licensed to perform smog checks as well as repairs. Customers benefit from discount coupons as well as our “pass or don’t pay” guarantee. We’re members of both the BBB and the California Service Station Association.